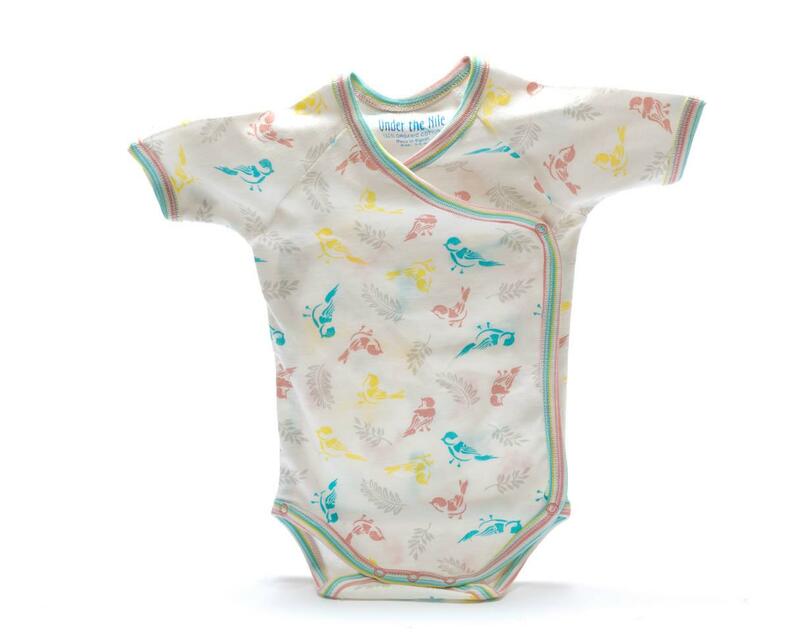 This organic baby body with its sweet bird design is made from 100% Egyptian cotton. Designed with side snaps for easy changing. Fair trade, handmade & machine washable. Co-ordinating swaddle blanket set available.